November 1963 – Our 1963 MGB Roadster came off the factory line at the British Motoring Company in the UK. March 1964 – This beauty arrived brand new on US soil and headed West to meet her new owner in sunny California. Once reaching her destination, one can only assume that the new owner would take her out for a spin. Wouldn’t you? 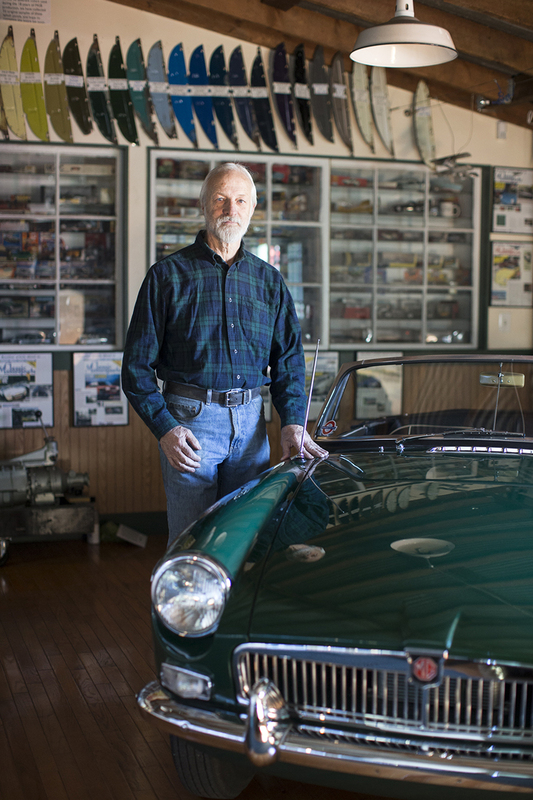 Unfortunately, the new owner only got to drive for about 15,000 miles before crashing the 1963 MGB Roadster. 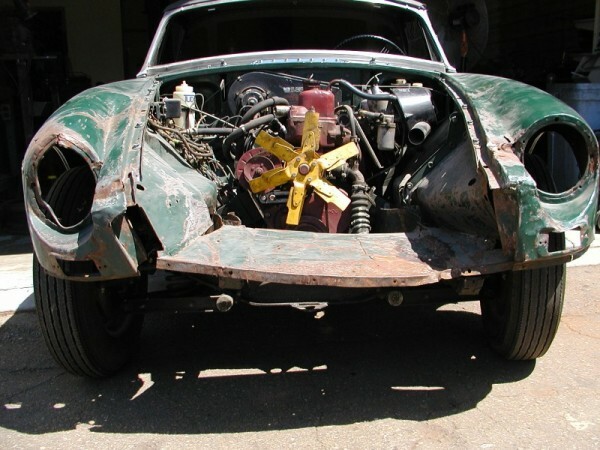 1964-2000 – For whatever reason, this MGB was simply hidden away, perhaps in shame, perhaps with the intention of one day restoring her. The reason is irrelevant, the point is, she remained more or less intact with all the original parts. During this time, she travelled to the Pacific Northwest before ending up in Colorado. 2000 – Paul’s dream came true; the unattainable had suddenly become attainable. 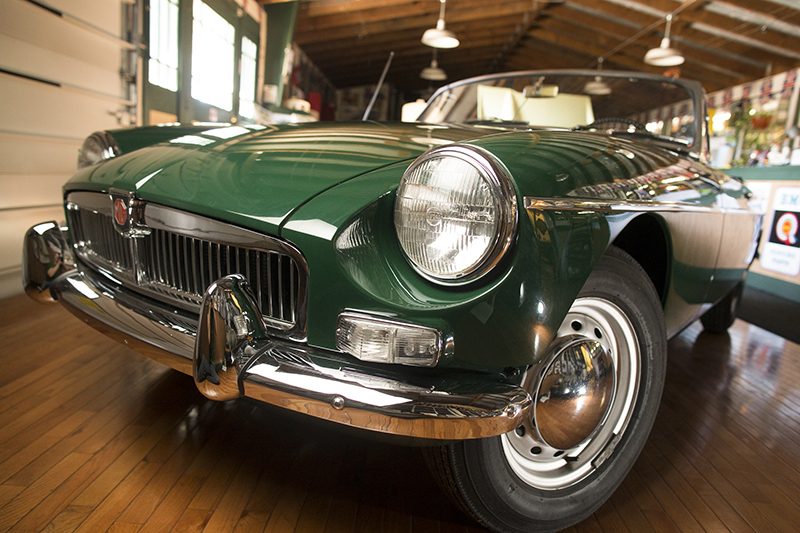 A factory original 1963 MGB Roadster was up for grabs. Did she look like she’d been severely bashed up and stowed away for 46 years? Yes! Would any rational person look at it at think “scrapyard”? Yup! But here at Sports Car Craftsmen all we saw was the chance to restore this perfectly faded and bruised specimen of a British sports car to its original condition. 2000-2014 – The perfect restoration begins. First step, take the whole thing apart and spiffing up the originals. Next we had to tackle a severely damaged front end. Then, wanting to stay as true to 1964 MGB authenticity, we spent a whole summer looking for an original grille, instead of simply having our renowned metallurgist, Chris, make a perfect replica of an original grille. He could have, but it wasn’t about taking the easy way out, this was about being authentic. Original chrome bumper to original chrome bumper. We finished off with a single stage paint. 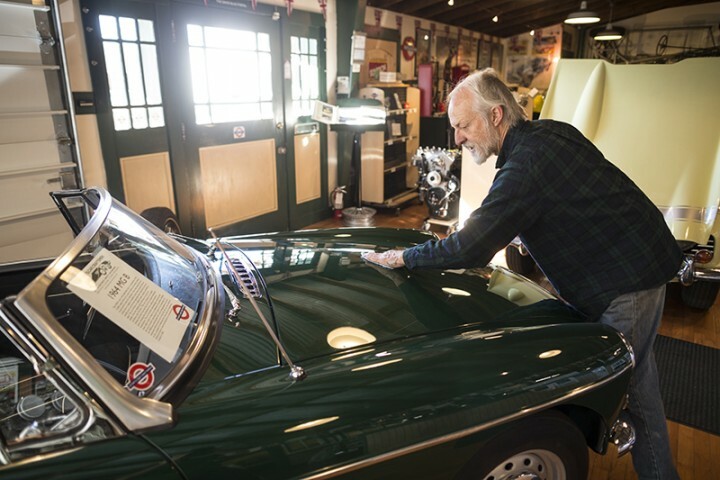 2014 – now – 40 years later we still have little things to do, like upgrading to a Nissan 5 speed so she can keep up with Colorado traffic, but she is darn near close to being the perfect restoration of an authentic 1964 MGB Roadster. Come check her out, and see for yourself why you should trust Sports Car Craftsmen with your classic British sports car.